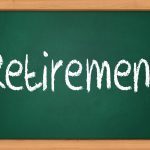 IRA Withdrawal Age | What Happens When You Reach It? You have been putting money away diligently in an IRA, just waiting for the time when you can start taking distributions without incurring an early-withdrawal penalty. You have now reached the IRA withdrawal age and you are ready to leave the workforce and enjoy your retirement. However, you want to make sure you understand the rules so you don’t end up making a financial mistake that could cost you a lot of money. Making sure you follow the IRS rules for withdrawal is important, since you don’t want the government to get any more of your money than necessary. When you make an early withdrawal, you are essentially giving the government as much as 10 percent more than you will have to give it if you wait until the right age. 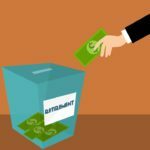 Be aware, though: you will likely have to pay taxes on your distributions even after you reach the IRA withdrawal age. What is the IRA Withdrawal Age? In most cases, you can start withdrawing funds from your IRA account without penalty when you turn 59 1/2 years old. You are not required to take any distributions as this age, but you won’t have to pay the 10 percent early withdrawal penalty either. 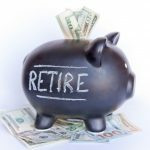 Taking money out at this age can be beneficial for you if you are looking to retire early and not wait until the standard retirement age of 65. 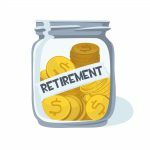 Depending on the type of IRA you have, you may have to begin taking required minimum distributions when you turn 70 1/2 years old. Traditional, SEP and SIMPLE IRAs fall into this category. The amount you will be required to withdrawal every year will be equal to a percentage of your IRA balance. This percentage will increase every year, which means your account balance is going to decrease even if your investments increase. You will have to pay taxes on the amounts you take out, regardless of your age. There is also a penalty for not taking the required minimum distributions when you turn 70 1/2. Usually, the amount you do not withdraw is taxed at 50 percent, much higher than any income taxes you will be required to pay by taking the distribution on schedule. 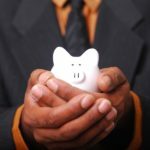 If you have a SEP or SIMPLE IRA, you can continue to make contributions after you turn 70 1/2 if you are still working. However, you still have to take the minimum distributions as well. 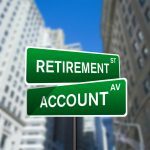 If you have a traditional IRA, you can no longer make contributions after you reach the IRA withdrawal age. 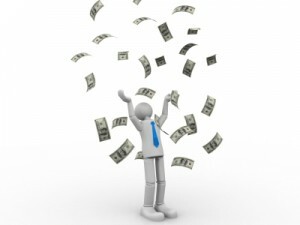 If you have a Roth IRA, you are not subject to any required minimum distributions. Since you pay taxes at the time you contribute to the fund, you will not have to pay income tax if you make your withdrawals after the age of 59 1/2 and a minimum of five years after the account was opened. You will still have to pay an early withdrawal penalty if you choose to tap into your funds before you turn 59 1/2. 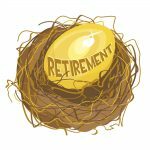 In general, a required minimum distribution is calculated by dividing the balance of the IRA account by the number of years the account holder is expected to live according to IRS life expectancy tables. The idea is that your retirement account should last the rest of your life. 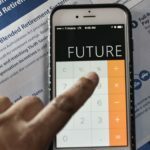 Since no one knows for sure when death is going to occur, the IRS has established life expectancy guidelines to determine an estimate of how long your money will last. There are three different life expectancy tables that have been developed by the IRS. You will want to use the correct table for your situation to make sure you calculate your minimum distribution correctly. If you have named your spouse your beneficiary and he or she is at least 10 years younger than you, use the Joint and Last Survivor Table. If you have not named your spouse your beneficiary or he or she is not at least 10 years younger than you, use the Uniform Lifetime Table. If you are a beneficiary of an IRA account, use the Single Life Expectancy Table. 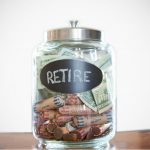 You can also use this calculator to help you determine how much money you are going to have to take out when you reach the IRA withdrawal age. Knowing this information can help you plan for that eventuality. You will have to take your first required minimum distribution in the year that you turn 70 1/2; but you can delay your first payment until April 1 in the year after you turn 70 1/2. For all distributions following the first one, you are required to withdraw your money by December 31 each year. You have patiently saved for your retirement for many years. Now that you’re old enough to access your money without incurring a penalty, why not enjoy the freedom your funds can give you? Go ahead and take your required minimum distributions. You deserve them. 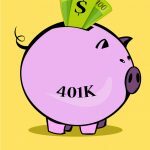 Is Borrowing from 401k Funds Ever Okay? You are responsible. 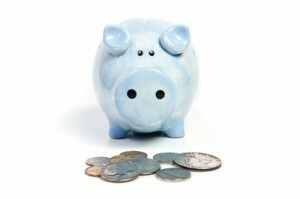 Contact your plan administrator and work out exactly what the withdrawals should be. Hi you can roll over you 401k to another type of account so it can continue to grow and the 70 1/2 penalty for the 401k won’t apply. 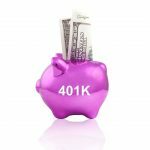 Can you take all or part of your 401k money if you have previously agreed to an annual disbursement, say to buy property or pay off debt? Instead of putting health & welfare funds into my pay, the employer puts it into a 401k. I am over 591/2, can I withdrawal those funds every month? I retired from Anchor Hocking Corp in Dec of 2003. Shortly after, I withdrew $6000 of an approximately balance of $10,000. I’d like to withdraw any balance of this money and deposit it in my own bank account. Please let me know what steps I need to take to withdraw any monies that may be there. Please reply to this issue at my email address: breakfastcoplq@yahoo.com Thank You, Wayne Braniff. You can also contact me at 716 627 5417 or 716 239 9549.